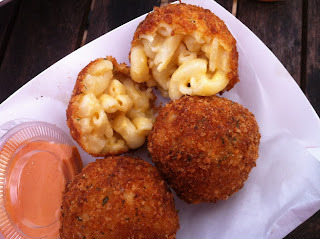 We made another visit to the HEB Montrose Market Food Truck Friday meet up. A great turn out and a good number of trucks, many of the hit trucks from Houston where there. 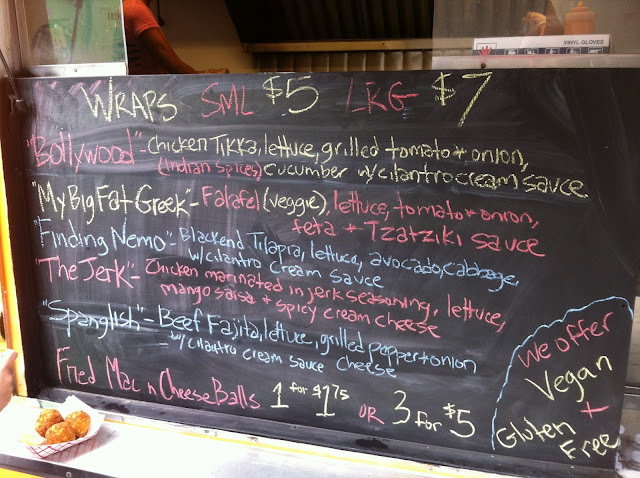 I can't seem to figure out the schedule, but watch the markets Facebook page for the next one and the truck line up. 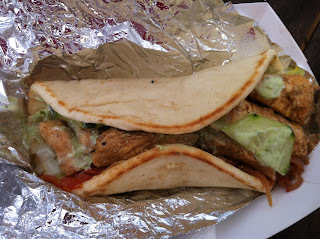 Chicken Tikka, tomatoes and onions grilled with Indian spices, lettuce, cucumbers, and cilantro cream sauce. Chicken Tikka is on of my favorite southeast Asian dished, so I jumped on this. I was disappointed in the chicken in this wrap. The chicken didn't have the orange/red color I expect from chicken Tikka. It was bland and had almost no flavor. I have to say the same goes for the tomatoes and onions. Overall I would have to say nothing in this made me think Indian food. 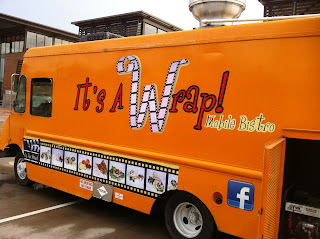 The wrap itself was fresh and pillowly soft. A little toast on the grill would have been good though. 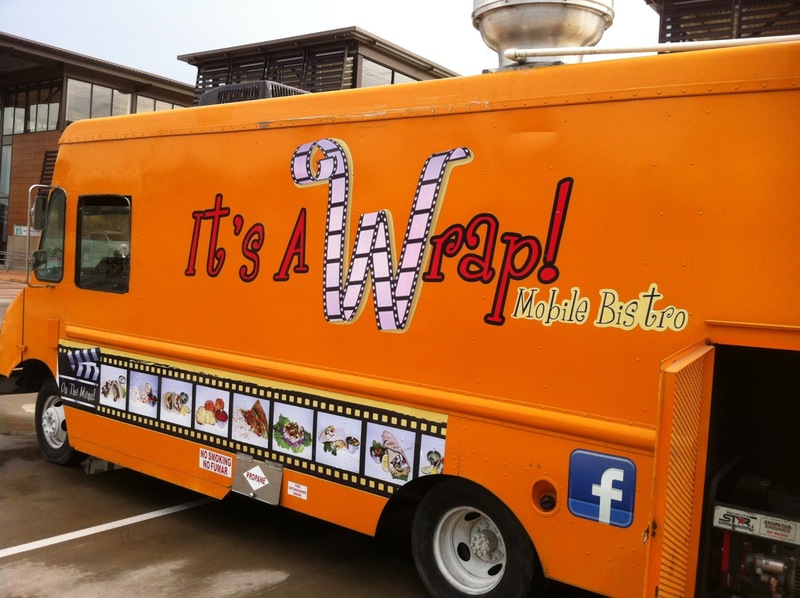 Synopsis: You won't be seeing red from this wrap. 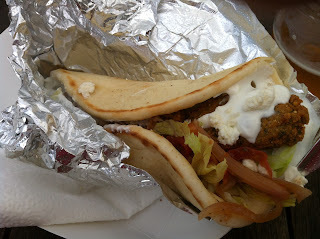 Falafel, lettuce, tomato, onions, feta cheese, and Tzatziki sauce. These falafel had a nice chunky quality that I liked. I suspect they are home made because they varied in texture, one was light and fluffy and perfect, the other was a bit dense. They had a nice smoky cumin taste to them. The tomatoes and onions were grilled. 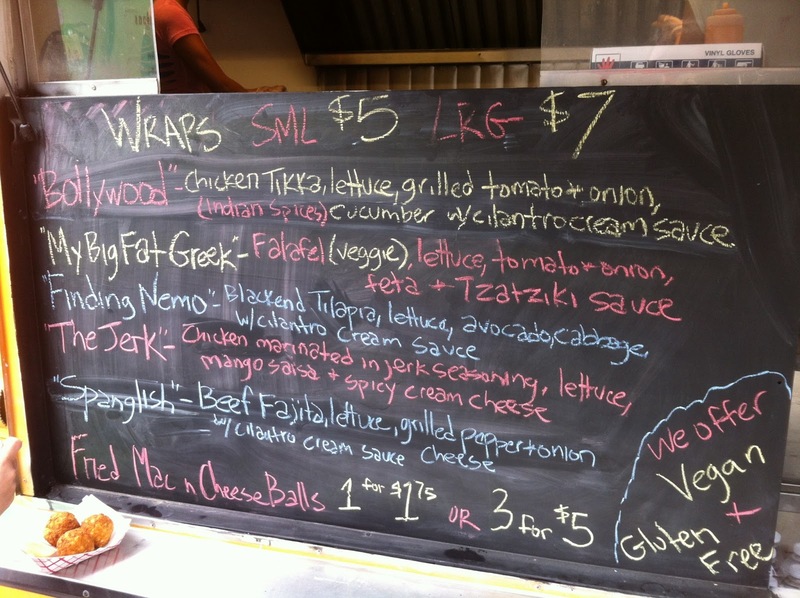 The Tzatziki sauce was nice and light and the best part of this wrap. Again the nice fresh wrap would have been nice with a little toast on the grill. Synopsis: Classic street food sandwich. Three large breaded balls of macaroni and cheese, rolled in panko breadcrumbs and deep fried. I can't find anything wrong with these but I didn't find them exciting. A pinch of salt was definitely needed. Something to liven them up like bacon bits or crumbles of blue cheese maybe.